It’s super awesome. I use it for gaming and hacking the government. Actually this thing was procured for one purpose - for my buddy to come over and play Civilization VI. He used to bring over his laptop but neither the graphics or screen size were very impressive. The game would slow down quite a bit beginning ~turn 200 because of all the units. We then tried using Remote Desktop to log into his home computer using my laptop and, surprisingly, it worked quite well. Graphics were crisp and gameplay was ok except when you had to scroll the map. In that case there was serious lag which made it unplayable. The last option was to build a dedicated Civ-puter. Specs for the game aren’t crazy and I wanted something with enough oomph to last for a little while. 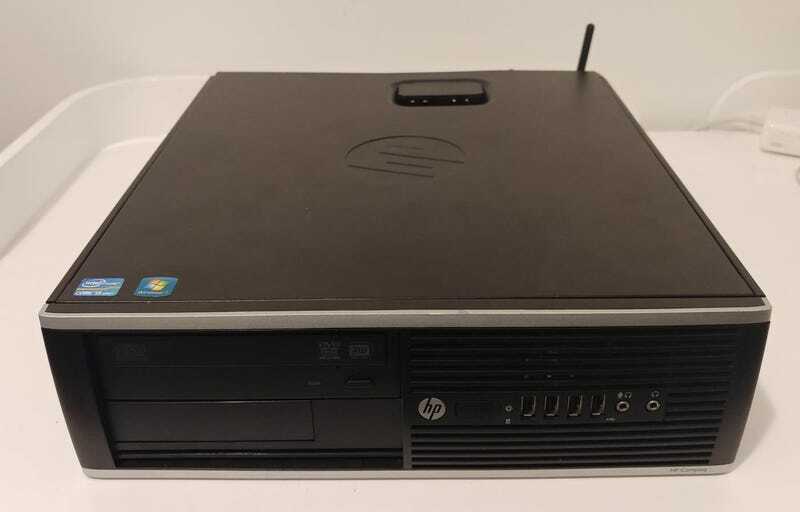 I picked up this refurbished HP 8300 Elite which packs an i5-3570 and 4 GB of RAM. We then added an ASUS GT 1030 low-profile card. Check out dat clearance with the heatsink in the bottom pic. $170 loonies for the computer, and $110 for the video card. Throw in a wireless PCI card and for a gran total of $300 we had ourselves a rig that is more than capable of running Civ at high settings. I think I’ll be on the lookout for another 4 GB RAM stick to toss in once prices fall a bit.